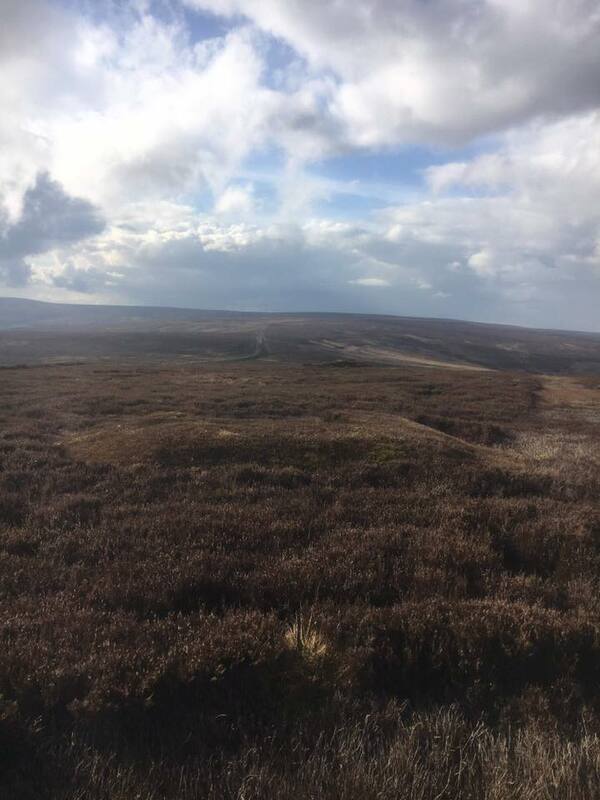 The wide-open moors in the UK only look that way because they have been actively maintained for hundreds of years. 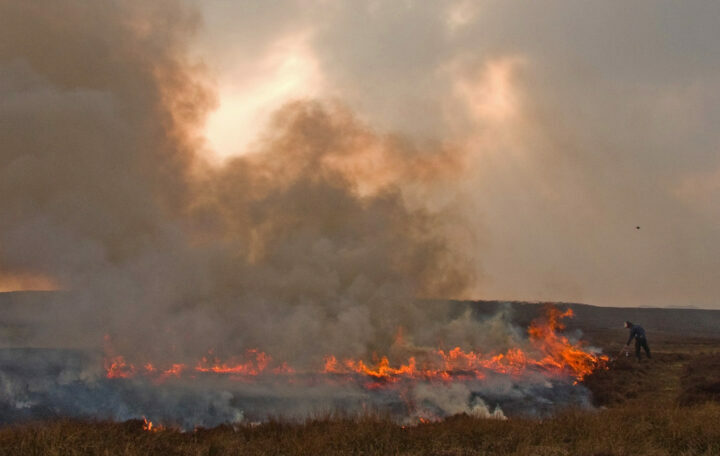 The use of fire to manage the landscape and the vegetation it sustains is a very ancient business. 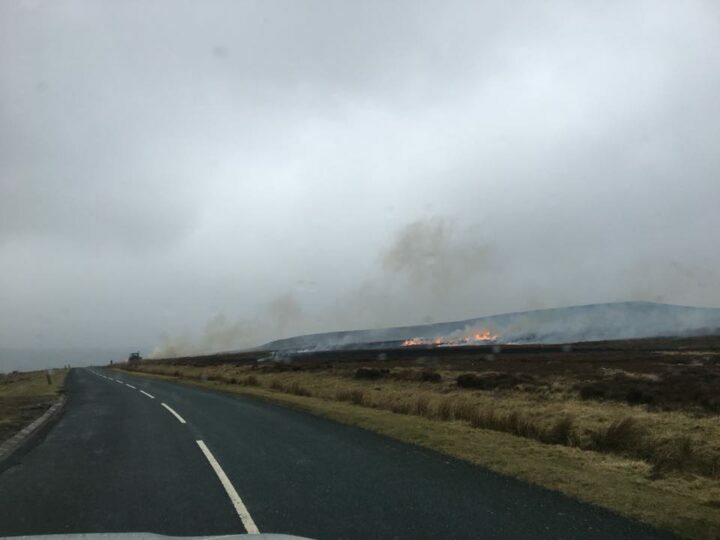 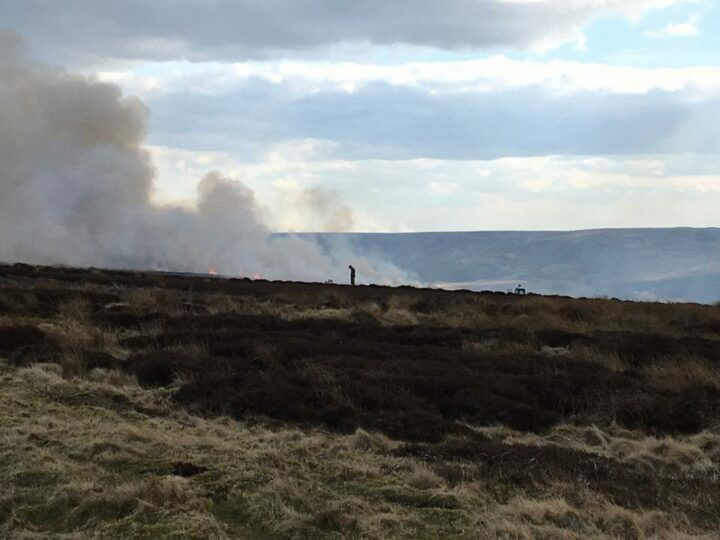 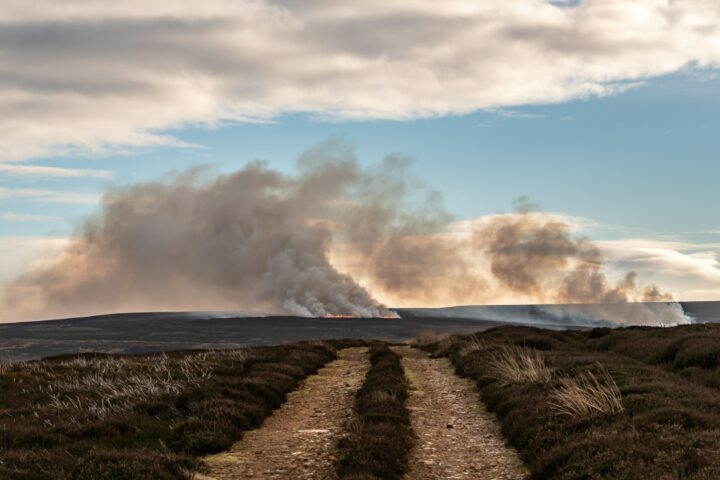 Being out on the moors this month I have seen plumes of smoke from the Moorland burning which is currently taking place. Heather burning is the planned burning of small areas of older heather, with the aim of achieving a low intensity, quick, ‘cool burn’ in small patches, which removes the canopy but does not affect the underlying peat or soil layer. 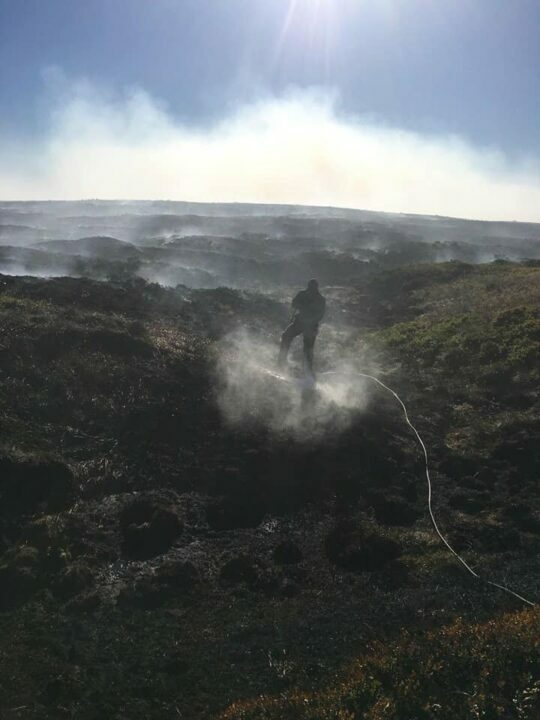 The burning season runs from 1st October to 15th April as this is the period when there is the least chance of damaging wildlife and insects, leave the ground surface untouched and create vital firebreaks to reduce the chances of devastating wildfires. 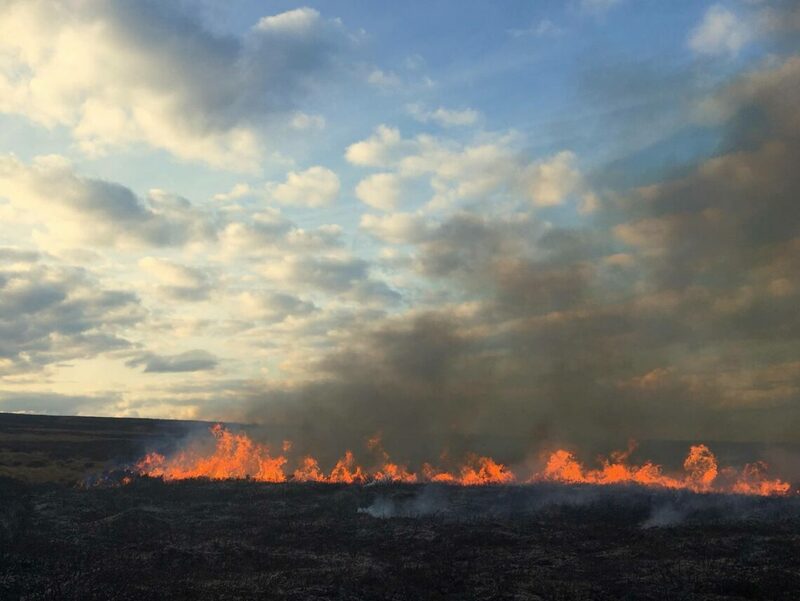 Most burning occurs in the spring when the plant material has dried out, allowing it to burn while cold, damp conditions underfoot mean the fire is most easily controlled. 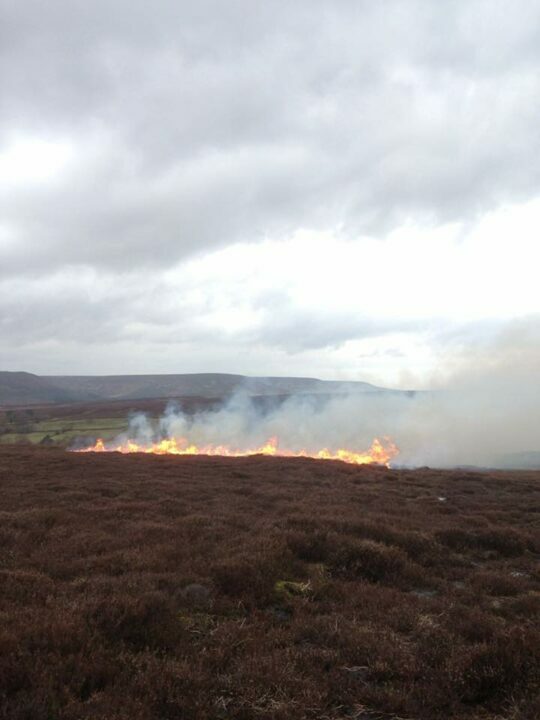 The fires are small and carefully controlled so they don’t spread or damage the peaty soil. 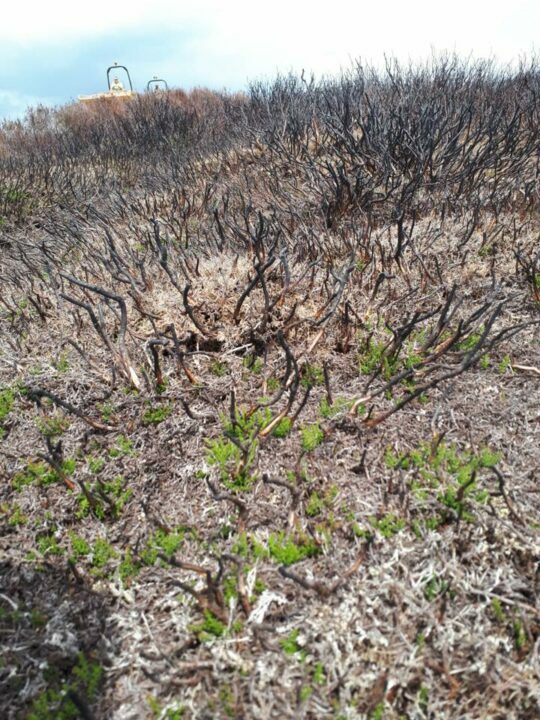 The following year new green shoots grow from underground stems and seeds. 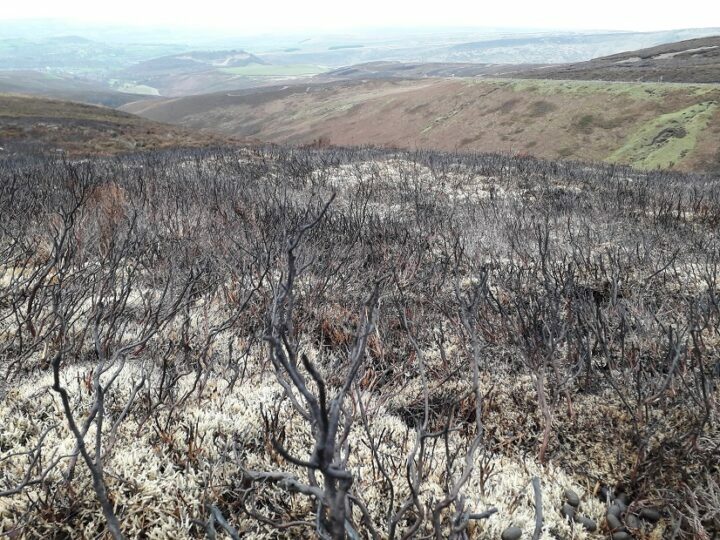 …with some areas of short, young heather for grouse and sheep to eat and some patches of taller, older heather for grouse to shelter and nest in. 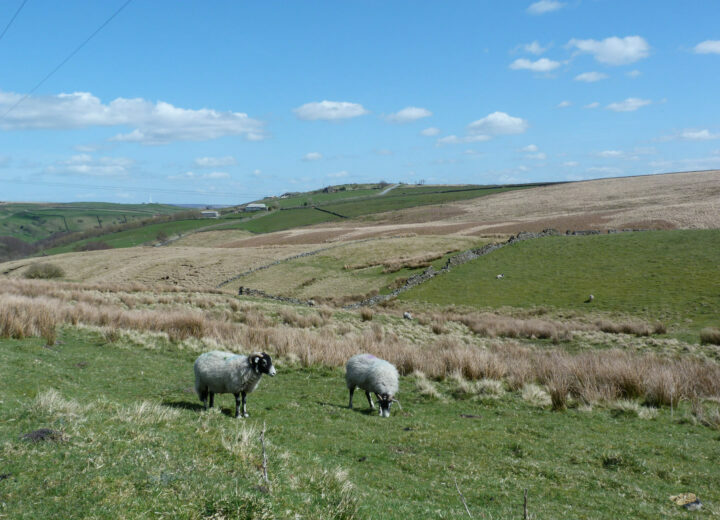 This creates a more diverse habitat, which is better for many other plants and animals too.